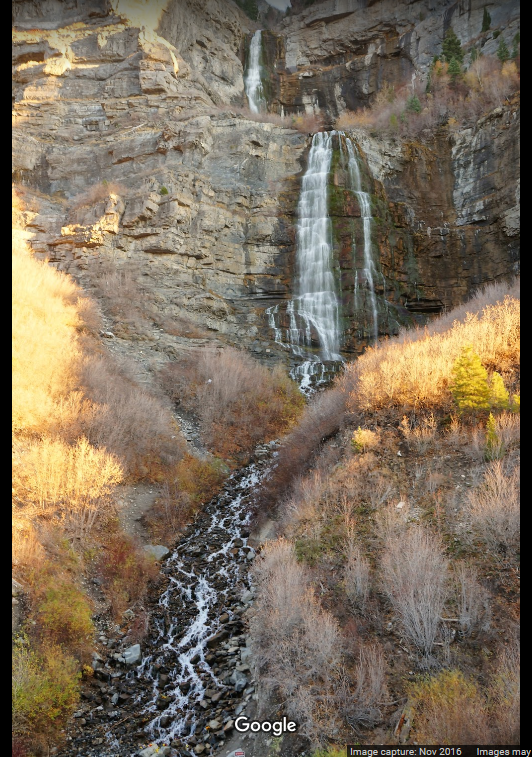 This week Pegman is back in the Southwestern US, in Bridal Veil Falls, Utah. Your mission is to write up to 150 words inspired by the prompt. Feel free to use the photo provided, or take your own tour of scenic Utah for something that inspires you.